So what did I buy in Japan? Aside from four tops/shirts for a number of multinational companies (Zara, Uni Qlo, H&M), I also bought a belt from Old Navy. That’s all par for the course – I have the time and the funds when on holidays to buy clothing. 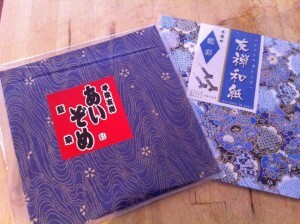 Two packets of the same size of oragami paper – all in blue tones. I plan to frame some. An offcut of fabric, and 1m of a fabric I loved – I’m considering using them between the glass and the ‘wood’ of the coffee table. 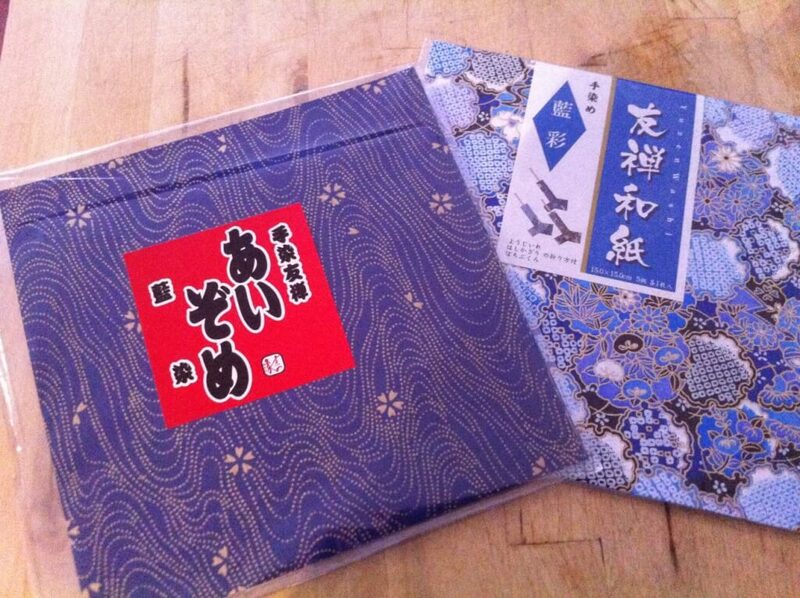 Maple leaf shaped cakes from Hiroshima, with the limited edition Maple flavour! Fabric – not even a planned purchase, a happy chance discovery! I also spent countless money on snacks! My my my, did I try everything and then some. I feel very unhealthy now! I enjoyed cream/custard filled puffs (three times), small pancakes packages with maple jelly and butter, caramel pop corn, pizza flavoured chips (crisps for Laura ;), strawberry yoghurt drink, little brownie bites, pineapple ring icecream, mango ice block (twice! ), alcoholic lemon flavoured icey drink… There was plenty more, I assure you… these are what I remember! That’s right – rice balls (really triangular shaped), though the last one I had, well I was pretty sure it was my LAST one, I got a little over them. I also brought home a sake bottle, as the glass was blue! It’s now sharing the trolley with a Bombay Sapphire mini bottle. Classy huh? What’s your favourite of my souvenirs? Is there something you ‘always’ collect as a souvenir when travelling? I love the origami paper! That blue is stunning. Also love the fabrics. And yes, clothes shopping is always fun on holidays when you have the time. I probably collect pamphlets more than anything else as travel souvenirs (and have been known to scrap-book them.) 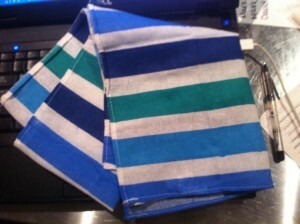 I like the idea of useful things you need to replace fairly often, though (yes – tea towels!) I wish I'd bought a teatowel in each country we visited this trip, as I actually need new ones now. You know me and my blues! I can't wait to fork out for some frames, and fill up some more of our walls! I've never considered collecting tea towels of my travels, isn't that weird? I love the origami paper and fabric, too. I usually buy clothes and earrings when I travel because there are different choices available compared to home. @Fiona, I have decided to buy tea towels on my upcoming travels, too, because my current ones are worn out and I thought it would be "kitschy fun" to buy souvenir ones! I meant to release a post whilst I was away about jewellery – mainly cause I'm at this unique point where I have 'enough' – everything can think I would like to wear (however, I am not saying I don't want a wedding band!). So I tend to look at all the jewelry but seldom buy much. 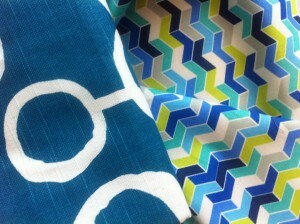 I actually thought of you and your love of textiles when I bought the fabrics. 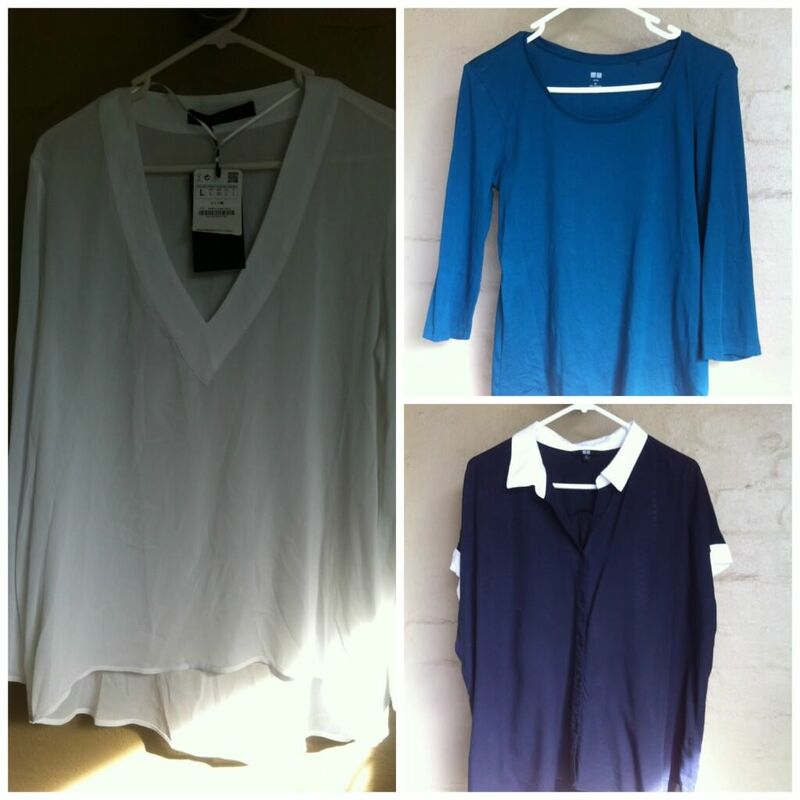 I buy clothing when I travel too as I have little or no inclination to shop any other time. I love your purchases. Ha! Pizza crisps – they sound good!! The pizza crisps were ok – though a little heavy on the flavouring for me, given I don't usually eat that sort of stuff. Glad to hear there's another shopper out there – I do feel very consumeristic on holidays – paying for things more continuously than at home. So much good stuff! I like your towel and fabric choices 🙂 I've also bought kitchen towels on trips. And treats. Gobs and gobs of treats. We had dessert almost every night in California (unless we were too stuffed/tired) which we rarely do at home and we bought little treats for our long drives too. I think trying all the new food is a must. Even having a second and third try of something to make sure you like it. So extra weight is a worthy souvenir! Good to see you branch out with your colour scheme – not! So, much window shopping for wedding bands lately? Bahaha – I agree – countless icecreams checked for tastiness more than one (Mango was the best from seven 11!). Interesting 2kg have already gone, getting me back to the 70-72kg normal I'm used to. Come on – when you're onto a good thing why change? I do have a yellow dress, and I enjoy wearing it! It's not relegated or nuffin! And no to the last questions 😉 Well, if I see someone wearing something I like (usually an engagement) I take note, and even was so ballsy as to ask the BF the other day if that (pointing) was an engagement ring. He did NOT buy in!